Tomato contains lycopene, which had been found to help in reducing the incidence of cardiovascular diseases and heart diseases such as hypertension and stroke. It also contains potassium which is an important element that helps in reducing our blood pressure. Tomato contains nutrients and compounds that enhance the beauty of our skin such as Vitamin C. The best way to take care of your skin is to eat fruits that promote the health of our skin and tomato is one of these fruits. Raw tomato can also be used as a face scrub to peel off dead cells and smoothen our face. The antioxidants found in tomato such as lycopene has been linked to healthy bones. Tomato also contains calcium and vitamin K, which help in strengthening our bones. Some studies have showed that tomato is able to reduce the risk of developing prostate cancer, lung cancer and breast cancers. The antioxidants found in tomato are responsible for this anti-cancer benefits. Lycopene in particular has been associated with a reduced risk of developing prostate cancer. The risk of developing obesity was found to be lower in people who included tomato in their diet. 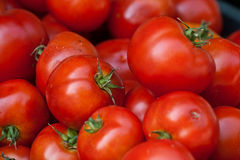 This has been attributed to the nutrients that are found in tomato. In order to lower our blood pressure, it is recommended that we avoid sodium. Eating foods that have potassium can bring down our blood pressure and tomato contains potassium. Tomato is good for pregnant women because it contains folic acid. Folic acid helps to prevent neural tube defect in infants.